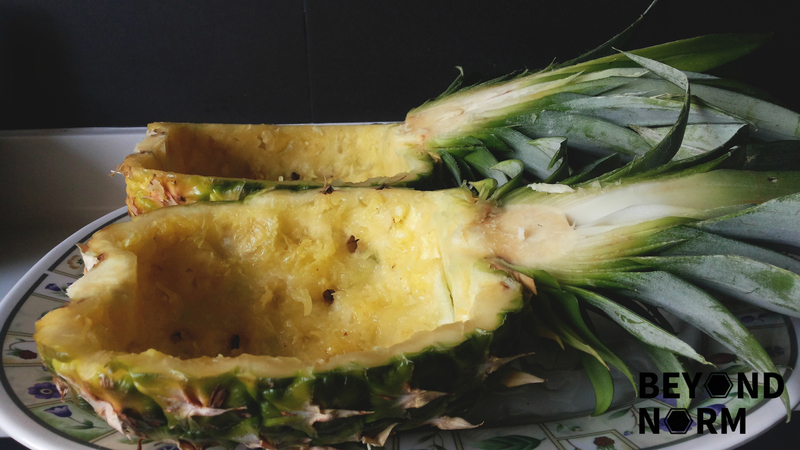 As usual, I love to try things which I have never done before and plucked up my courage to make my own pineapple boats (see notes below on how to make one yourself) to serve my home cook Pineapple Fried Rice. I did it and Tada! 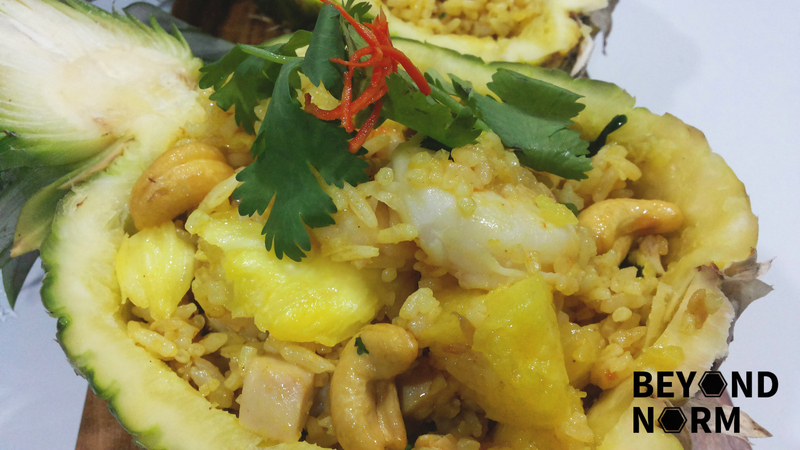 Here is my Khao Pad Sopparot served in my very own pineapple boats. 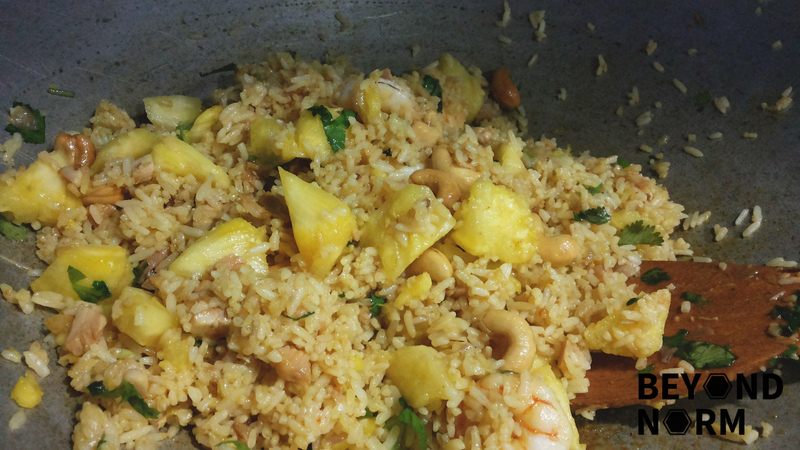 If you cannot find any fresh pineapples, do not fret, you can still cook this dish by using canned pineapples. 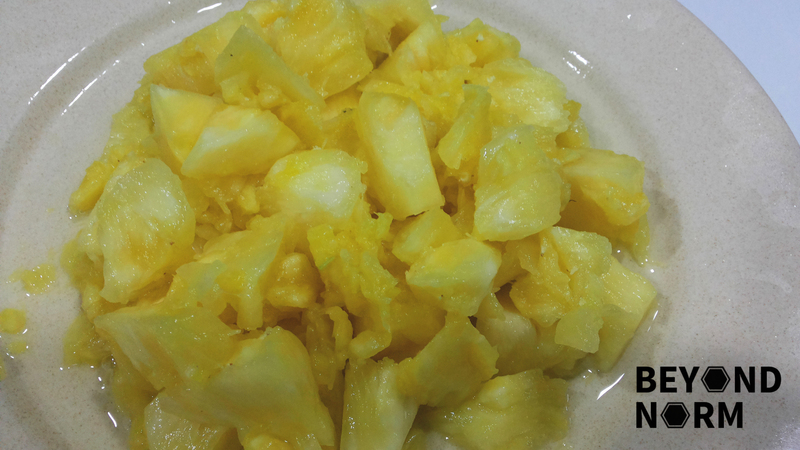 Just bear in mind that nothing beats biting into sweet, juicy, and slightly tangy fresh pineapple. What are you waiting for? Try this recipe as it does not only look visually appealing but simply appetizing!!! We hope you like it and share our blog with your friends too! 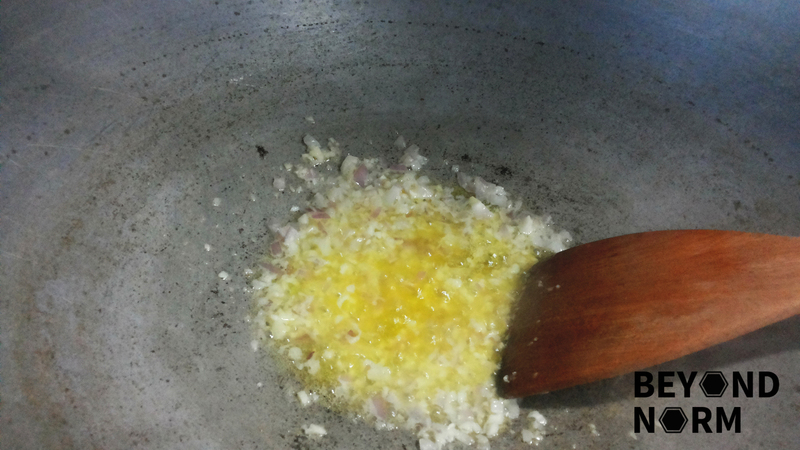 Heat oil and butter in wok on medium heat. Stir fry shallots and garlic until softened. Add shrimp paste and stir fry until you smell the pungent aroma. Add chicken and stir fry until they just turn opaque. 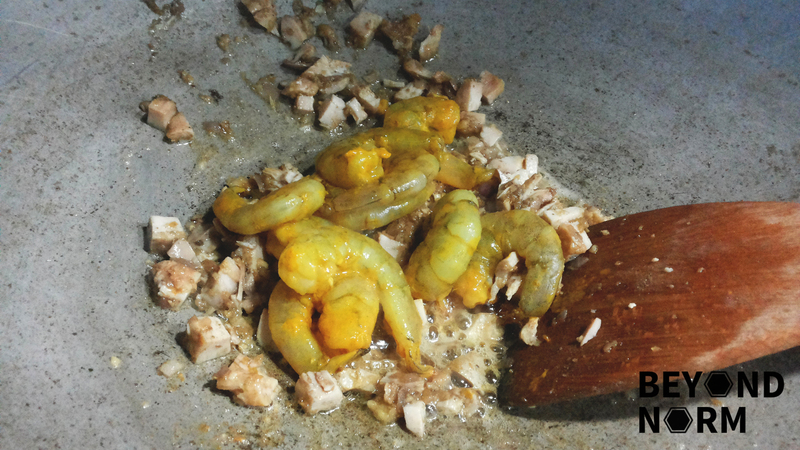 Add prawns, stir fry until semi-cooked. Add rice and pour in the seasoning. Stir fry until the rice grains are dry and evenly-coated in the sauce. Add pineapple, cashew nuts, and raisins (optional). Stir fry for another minute or two. Dish your pineapple rice into the pineapple boats or serving bowls and garnish with coriander and meat floss (optional). The best results when cooking fried rice is to use cooked rice that has been refrigerated overnight. Cut the pineapple into half. Cut around the inside of the pineapple, following the “rim”. Cut deeply, but try not to let your knife go through the skin and to the other side. Now cut the flesh inside the pineapple into cubes, first by making long slices down the length of the pineapple, then cross cut approximately 1 inch wide. Again, be careful not to cut through to the other side. Using a large spoon (preferably one that has a fairly “sharp” edge), scoop out the flesh and set aside. When you get to the bottom, you may have to use some muscle to scrape out the last of the fruit. Your pineapple boat is now ready to be filled with your Pineapple Fried Rice. 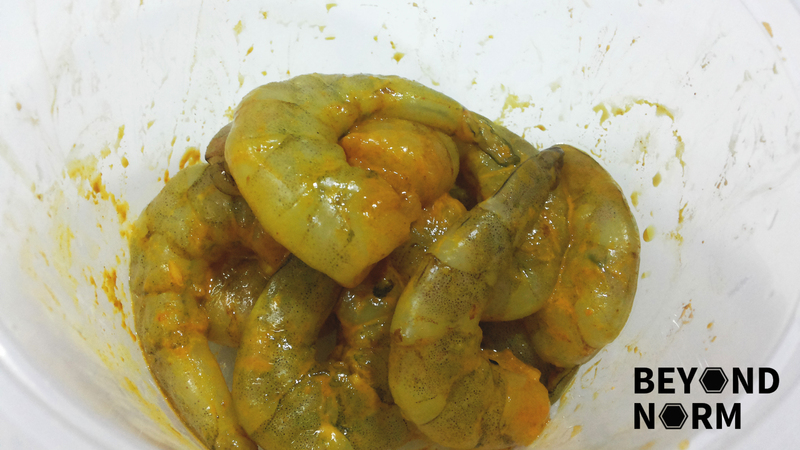 Which shrimp paste do you recommend? Hi Jamie. 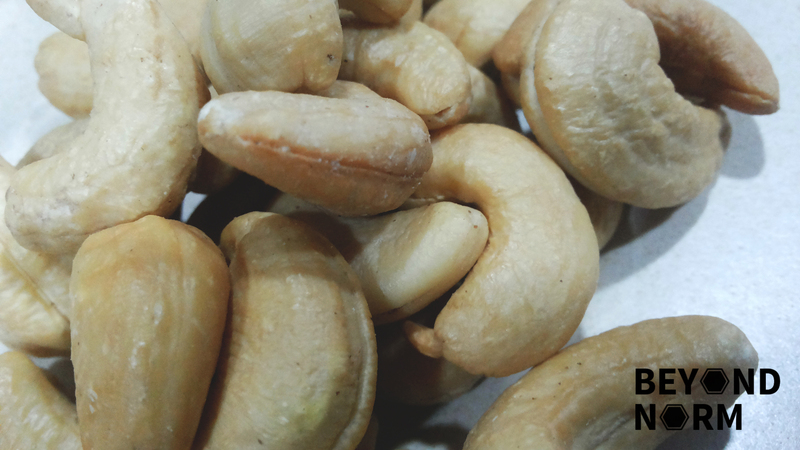 🙂 I recommend this shrimp paste that you can purchase from this link (http://astore.amazon.com/beynor07-20)!